The hotel is full of that old school glamour. They also have a spectacular spa department, brilliant bar, delightful afternoon tea... and as if all this wasn't enough - they also house 2 Michelin- starred restaurants. I was won over at the breakfast at the latest where they serve Kalle's Kaviar (Swedish paste made of cod roe) in adorable miniature tubes! I love roe. Which is something The Gentleman's discerning British palate will probably never be able to fully comprehend. This is a slightly more grown-up version of it: taramasalata. This originally a Greek delicacy, is, as the name states, a roe salad. Traditionally the roe used for this comes from mullet, carp or even cod, but just about any roe works. Today I tried it with the vegan version made of seaweed and even that was good! Serve with crusty bread, crackers... or crisp bread. 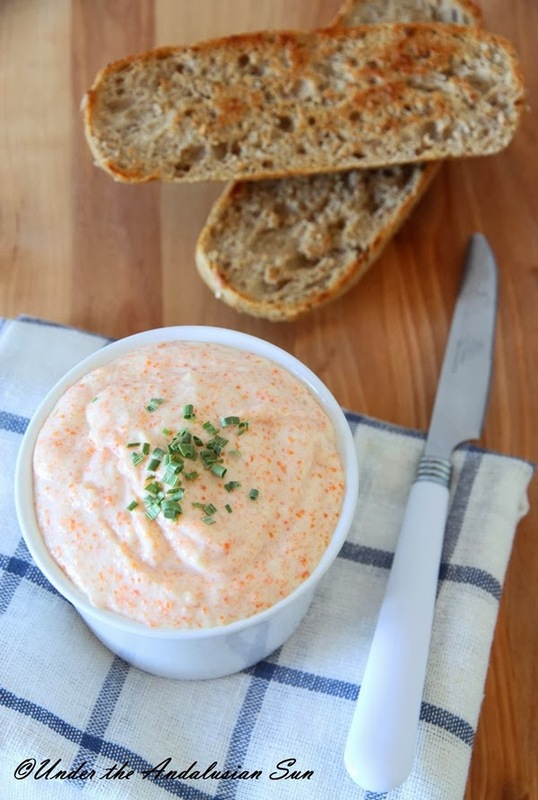 This recipe makes about 2,5 dl of taramasalata. Cut the bread in half and scoop out the bread from the crust. Let soak in milk for about 10 minutes. Then squeeze the excess milk out - the mixture should be paste-like. Mix it with roe, yolk, onion, garlic and lemon juice in a blender until it's smooth. A handheld device is probably the easiest and produces the smoothest result. Add oil in a thin stream with the machine running. Add the lemon zest and season with white pepper. If taramasalata is too salty (depends on the roe you use) add some more bread (and if needed, some milk and/or oil).